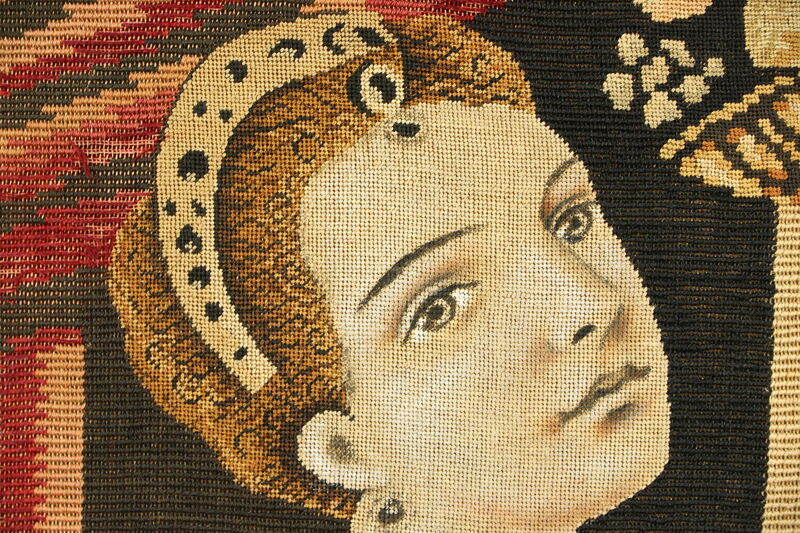 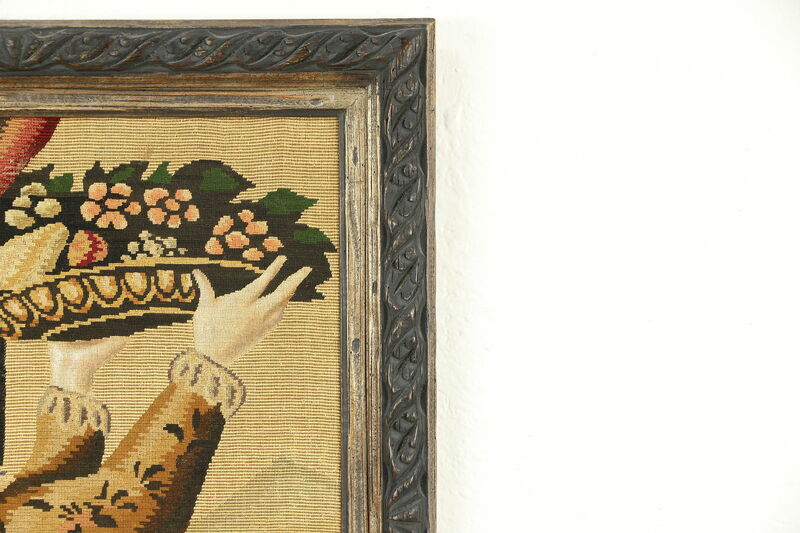 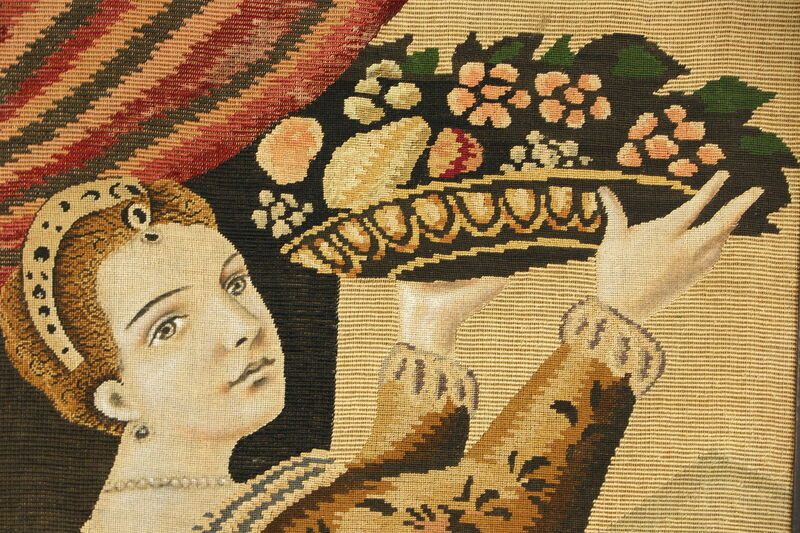 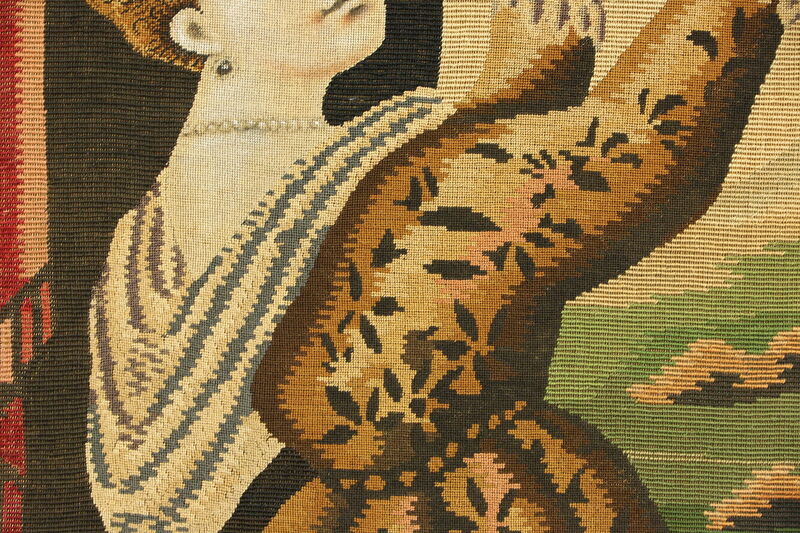 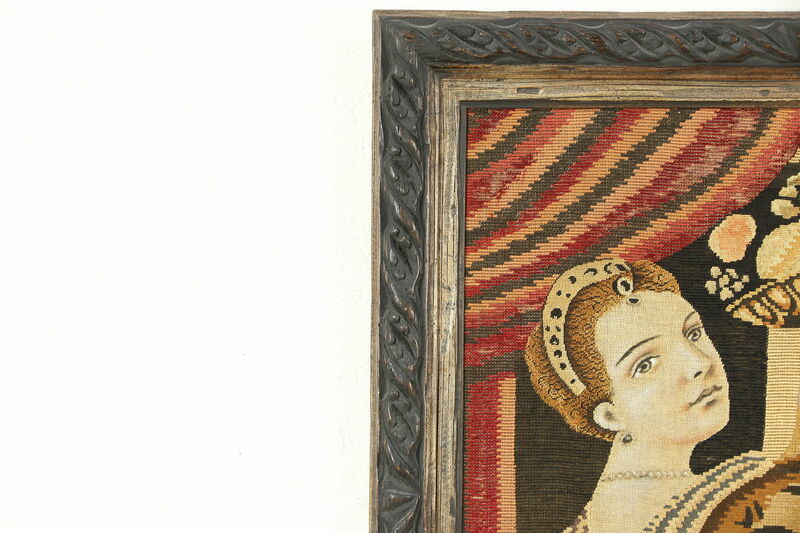 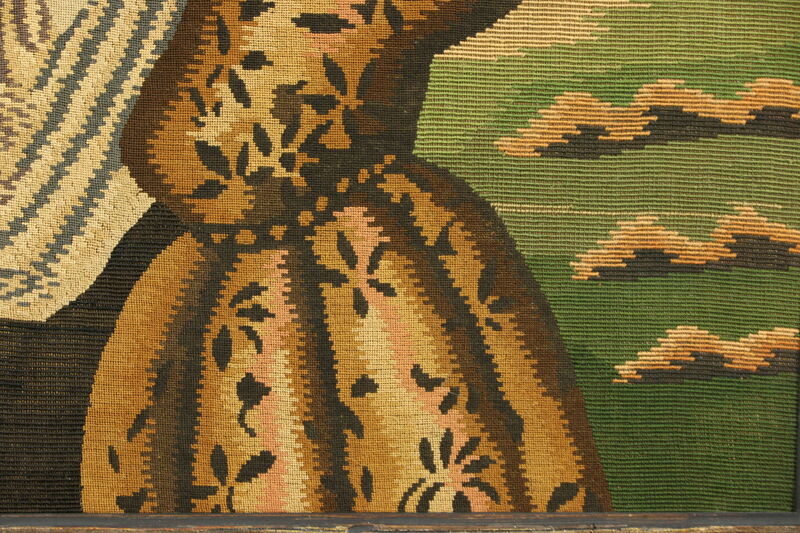 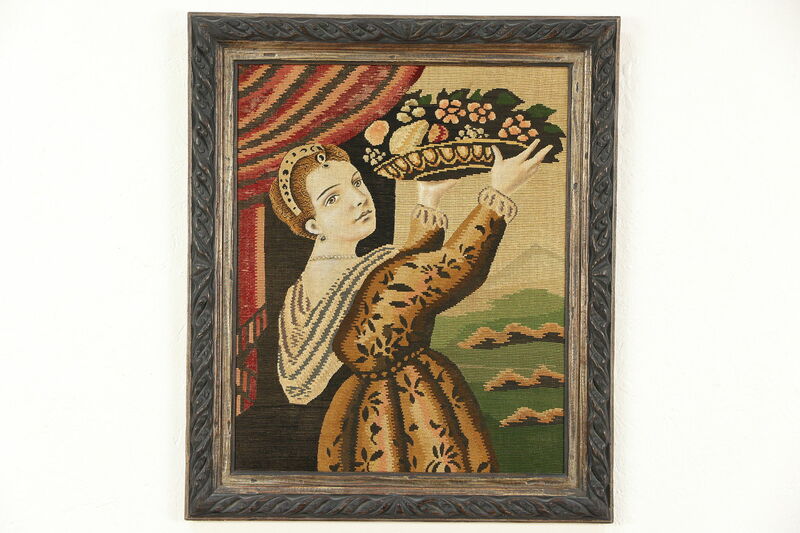 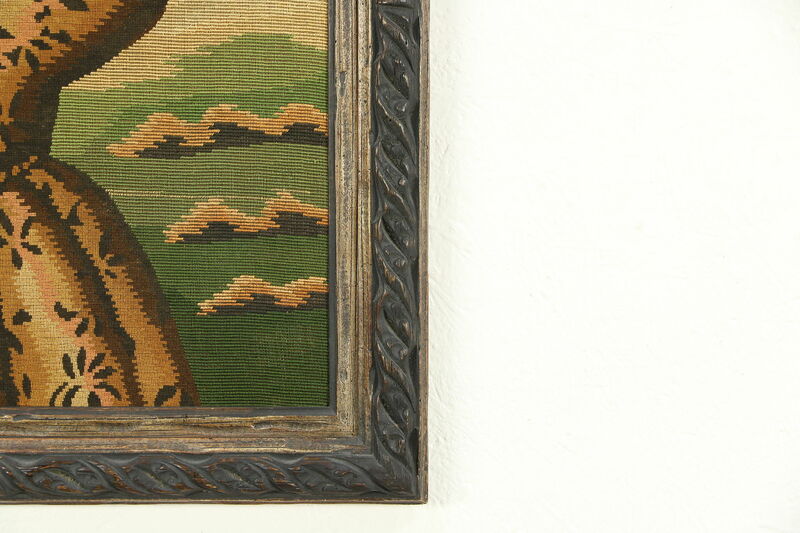 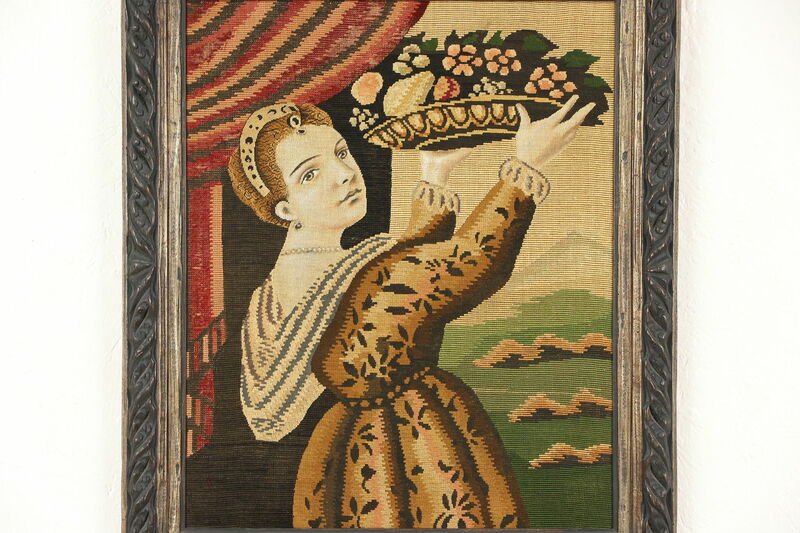 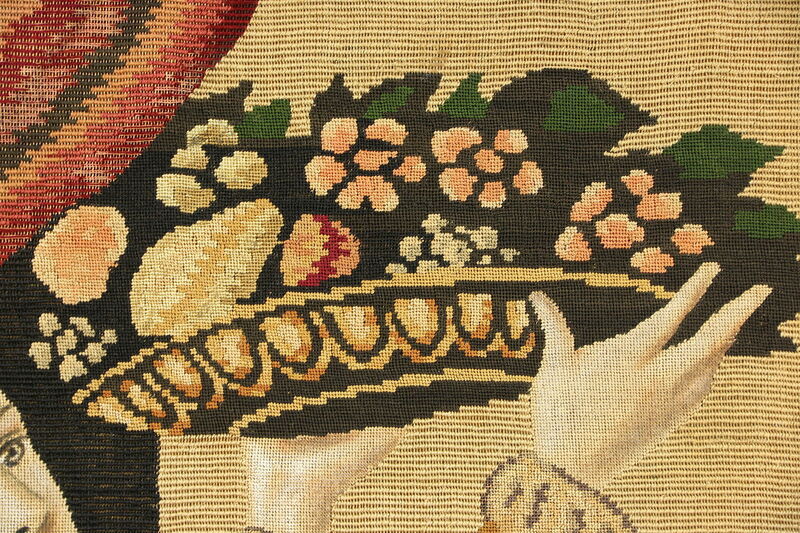 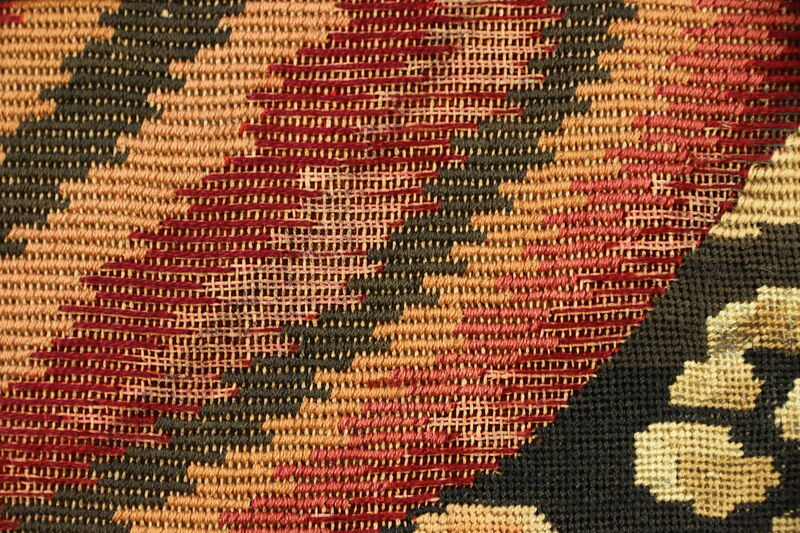 A traditional Renaissance style tapestry of a young woman bearing a tray of fruit has an original carved frame from about 80 years ago. 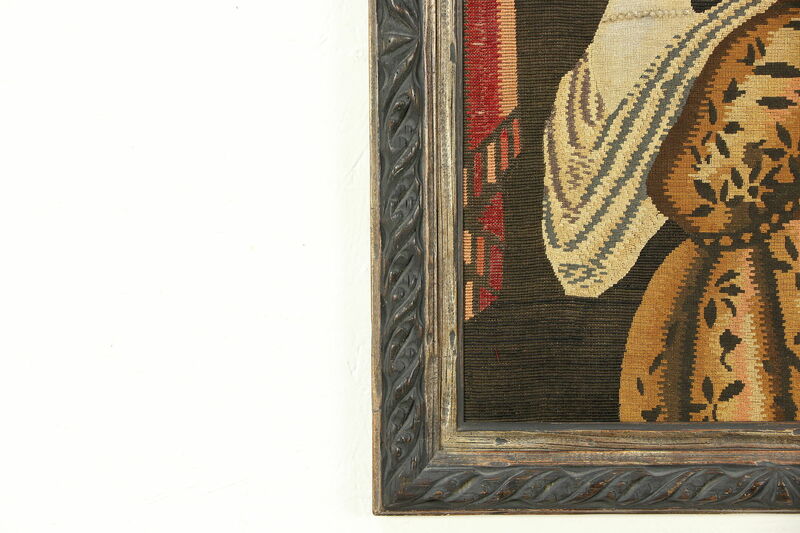 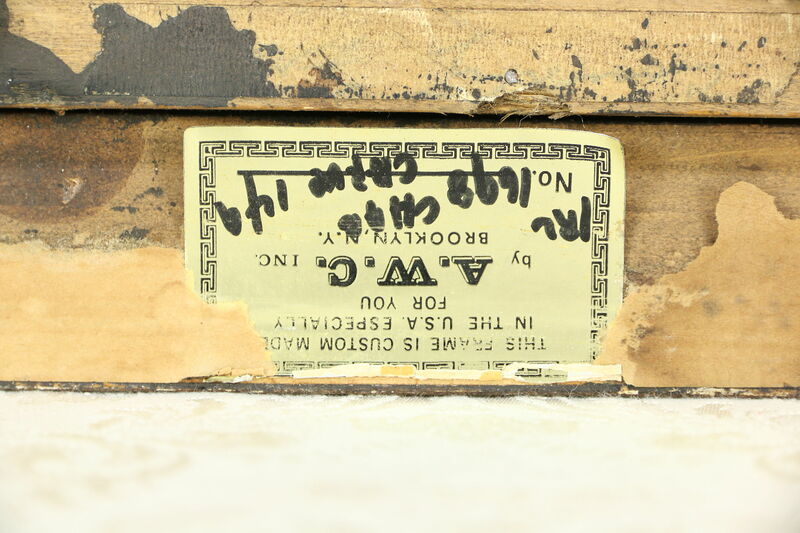 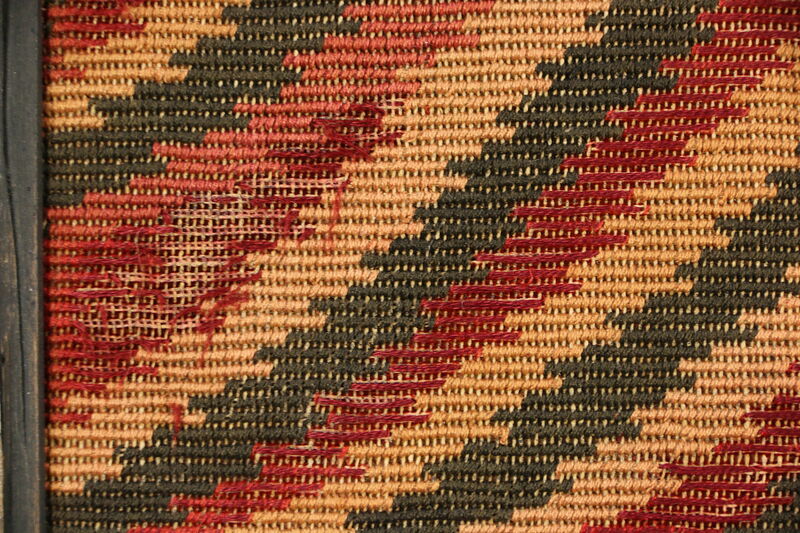 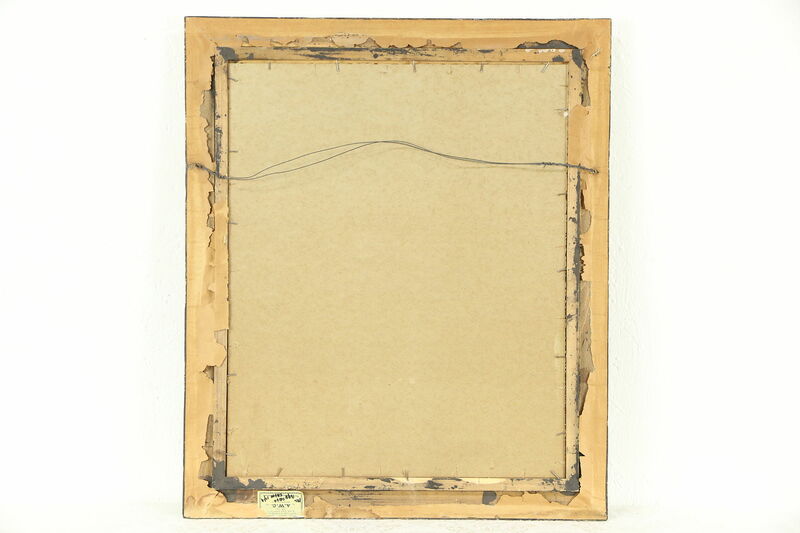 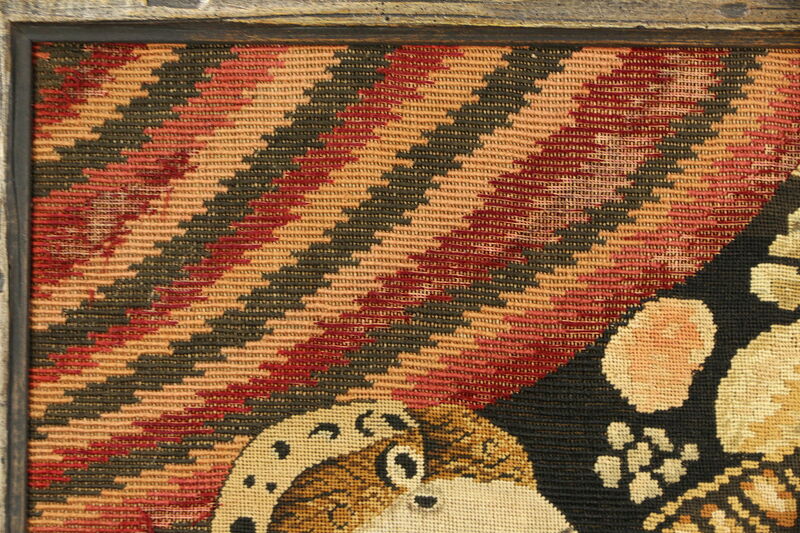 The frame has been subtly distressed to look antique. 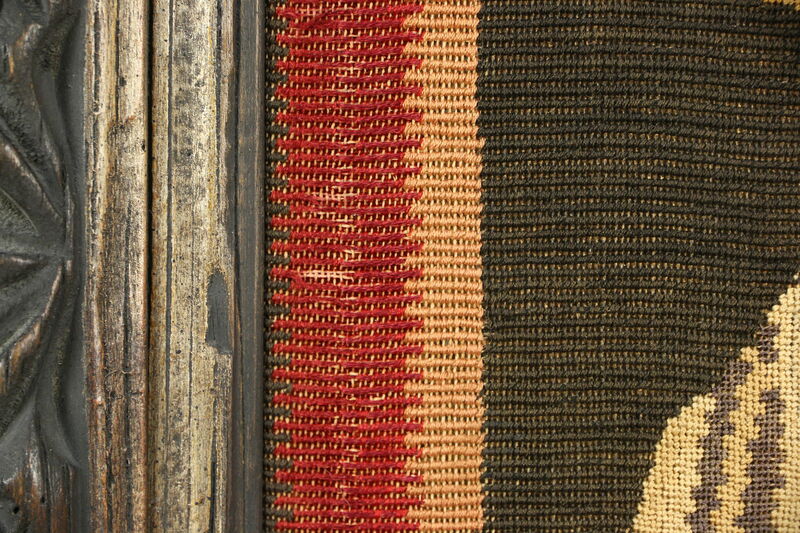 Overall size is 23" wide, 27" tall and 1 1/2" deep.